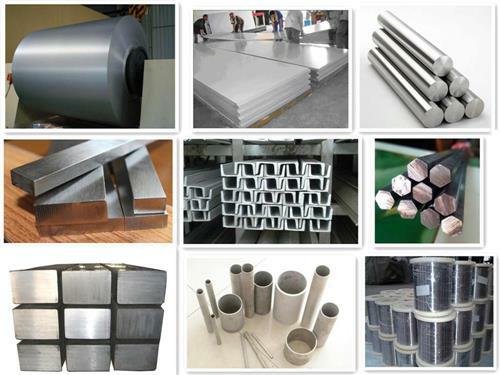 In the early days, due to the shortage of China's national strength and the shortage of stainless steel production and variety, the application of stainless steel in Construction Industry was limited to some occasions without suitable materials, and it was mainly used in China.With the improvement of China's comprehensive national strength, the expansion of stainless steel production scale and product types, and the improvement of quality, the application range of stainless steel in the construction industry will be expanded. Its application in the building and decoration industry has expanded rapidly and has been promoted in other areas of the construction industry. Architectural decorative color stainless steel has a wide range of applications, almost everywhere. Its main applications are: kitchen equipment, kitchen utensils, stainless steel cabinets, counters, escalator handrails, corridor railings, hall pillars, glass door frames and handles, revolving doors, automatic doors, shopping mall facades, wall curtain walls, and more.Stainless steel is best suited for hospitals or other areas where hygiene is critical, such as food processing, catering, brewing and chemicals, not only because it is easy to clean every day, but sometimes with chemical cleaners, and because it is not easy to breed bacteria.Tests have shown that stainless steel has the same properties as glass and ceramics in this respect. Jawaysteel Corporation,stainless steel sheet supplier from China,founded in 1998, is a professional manufacturer and global exporter specializing in metal manufacture and exportation. In recent years, winged by rapid merge and expansion,Our well-equipped plant emerged in Dainan, Jiangsu Province, with two Export offices respectively located in Shanghai and HongKong catering.Export offices respectively located in Shanghai and HongKong catering to a lager scale of customers from both home and abroad under the banner of supreme service.